We'll show you how to cook easy vegan meals with the whole food plant-based ingredients you have on hand! Save time, save money, get healthy and have fun doing it when you cook FREESTYLE! In a nutshell, spend some time with us and you'll learn how to cook in the real world -- where your time is precious and you need nutritious meals that don't take you an hour to make! You'll prepare home-style, creative and delicious dishes prepared in a way that makes sense and works for your busy life. Check out these beautiful made-from-scratch FREESTYLE Stuffed Bell Peppers drizzled with a creamy Smoky Cashew Sauce — created without a recipe in sight. First, you'll see a display of the fresh produce I had on hand to work with and how I used some of the ingredients to pull together this delicious and nutritious meal based on whole foods. And when my next mealtime rolls around, I'll once again check to see what I have on hand and select a few more ingredients to create a meal on-the-fly. This concept of how to make whole food plant-based (WFPB) meals without a recipe is what we'll teach you here on our website and in our online classes. We'll Teach You Everything We Know About How To Cook Vegan Meals Without Recipes: FREESTYLE! Since I started publishing VeganCoach.com in 2007, I've been showing vegan home cooks like you how to pull together healthy and well-balanced vegan meals — everything from selecting your ingredients in the store, to how to cook and prep your vegan food, all the way to plating and garnishing! All based on the flavors that you (and your family!) love. Those days are over of hunting down recipes and making huge grocery lists filled with ingredients you'll only use once. No more stocking your fridge with produce meant for your carefully-selected recipes only to find your life has other plans and you don't have the time you thought you would. When you cook recipe-free, you can usually pull off a flavorful, gorgeous and well-balanced dish many times in less than 30 minutes that you can be proud of! Say goodbye to waste because when you learn how to cook without recipes, you'll use up everything in your fridge. And because you're using the ingredients you have on hand, you can stick to the vegan diet that makes you happy, whether that means oil-free, gluten-free, soy-free, nut-free, you name it. You'll learn how to cook what you want, when you want it — every single time. Hello, I'm Patty Knutson, but my friends call me Sassy. I'd be willing to guess that before you decided to change to a plant-based diet you popped into your kitchen, pulled out a few items, and got your meal on the table in a relatively short time. But then you went veg, and all hell broke loose, right? "What are all these strange ingredients? "Will my family/friends like what I make? What you'll learn here is how to once again have the know-how (and the courage!) to go into your kitchen, pull a few things out of the fridge and cupboards, and in record time have a meal on the table. Only this time, all the ingredients are 100% vegetarian, natural, and based on whole foods. "This is the best cooking site EVER! This is cooking. This is what cooking is! I am helping a lot of people transition to veganism right now, and I will forward your site to ALL of them!" Hop onto our FREE monthly newsletter! 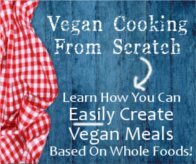 Join thousands of vegetarian home cooks as you learn super helpful vegan cooking and nutrition tips and advice (you can actually use!) and a shot of inspiration to carry you through this plant-based cooking journey — all with a community of peeps like you who just want to create healthy and balanced and YUMMY whole-food plant-based meals. Plus, you'll be introduced to the cooking style we promote so you can cook up custom-made and personalized FREESTYLE recipe-free vegan meals that will inspire you to play with your food. Do you ever make a plant-based dish that's surefire snooze material? All those beans and grains CAN get a little boring once in a while! Well, if so, you're in for a treat. 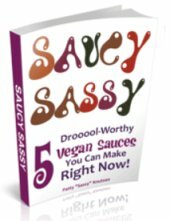 Because I have a fun little eBook to share with you today called Saucy Sassy with FIVE out-of-this-world sauces that you can make today. If you're looking for something special to jazz up your meals -- or you've been having a hard time ditching the cheese because you miss that creamy sensation -- then you'll love these sauces! Plus, these dreamy sauces are based on healthy whole foods because that's what we teach here at Vegan Coach and have since 2007! Everything you'll learn in our jam-packed-to-the-gills vegan cooking and nutrition website is based on our motto of FREESTYLE cooking. Just like the improvisational performer who flies by the seat of their pants without a script, you'll learn how to go into your kitchen, see what's on hand, and then get cooking without a recipe. I promise it's the way you've always wanted to cook because it's easy, you use up the food you have on hand so nothing goes to waste, and everything is based on the foods and flavors that you love making everything you create perfectly suited to your taste buds. ...because not only will you learn how to cook TASTY MEALS based on the flavors that you love, but we'll show you how to make NUTRITIONALLY BALANCED whole-foods based meals that are good for you, too! Since 2007 I've been showing vegan home cooks like you how to pull together flavorful AND well-balanced whole food plant-based meals. Because if your food doesn't provide the nutrients you need, what's the point? We have all the tools you need that make it easier than ever to be a vegan success story. And we're ready to help you get there. 1. Learn how to cook vegan food custom-made to your exact tastes. 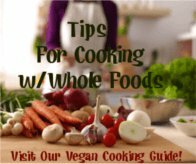 Our Vegan Cooking Guide provides a long list of vegan foods, with detailed instructions on how to clean and prep each food, suggested cooking techniques, and "Flavor Matches" so you can build your own unique recipes on-the-fly, quickly and easily. A visit to our Cooking Guide can help! There's a world of delicious ideas just waiting for you to glam onto. In this example, you'd simply find "broccoli" on the food list, and then follow the link to learn how to select your broccoli, how to clean and cook it and how to mix and match suggested flavors and cooking techniques. Super cool. And SO helpful too. I promise you'll learn to whip up fantastic new and unique dishes while you add to your cooking skills every single time you step into the kitchen. Cooking skills that will stay with you for the rest of your life. Our Cooking Guide can also help if you have a recipe or two that you like, but it just needs SOMETHING -- you can't put your finger on it. The "Flavor Matches" will help you find the foods, herbs and spices that match perfectly with your chosen ingredient -- and add one (or more) of them to your recipe. You'll create a new recipe all your own! "OMG! Sassy, your site ROCKS! It's well organized & linked up w/ TONS of helpful hints & flavorful tidbits. The cooking guide made my dinner simple & scrumptious. Thank you! I'm totally bookmarking you. ;~)"
In our Vegan Coach world, cooking from scratch means taking whole foods from their raw state (like beans, whole grains, and veggies), cooking them up, then mixing and matching to make your very own one-of-a-kind vegan dishes. Click for examples of how you can easily learn how to cook from scratch every day. 3. Cooking yummy food is only half of the equation. It's also important to create meals that will support your good health. If you've found yourself removing animal foods from your diet, but you haven't replaced them with plant-based foods that supply equal (or better) amounts of nutrients, then you'll be interested in reading Vegan Nutrition Made Easy. You'll also learn all about the ins and outs of protein, Vitamin B12, the Vegan Food Pyramid, vegetables, whole grains, and more! "We're completely mad about your site. We love every moment of it. Keep up the wonderful work of educating us." 4. Want some hands-on helpful guidance? 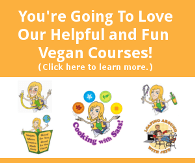 You'll love our collection of fun and helpful online vegan eCourses. We'll show you how to design a vegan lifestyle that's highly personalized, so everything is completely customized whether planning a menu, stocking your kitchen, choosing ingredients to cook with, creating your own recipes or exploring effective weight loss. There is so much for you to discover on this site including menu planning and weight loss tips, kitchen organization advice, tips for new Vegans and so much more! And it's all based on our belief (and experience!) that custom-made, personalized natural plant-based cooking is the best way to live an easy breezy vegan lifestyle. Be sure to look over our Sitemap for an index of many of the pages on this site. There's quite a few; you're bound to find what you're looking for. And if you have any questions we can help you with you can send me a note through my Contact form. p.s. Please LIKE and SHARE this page. Thank you for your support! "Your approach to vegan cooking is what I have been missing. I have been over complicating my WFPB [whole-food plant-based] journey which has led to limited success. I think others may feel as I did that vegan cooking is too hands on and intensive and shy away from it. Your site and courses are fantastic, showing people vegan cooking is nutritious, easy and tasty. I'm still early in my journey but I am much more confident now :0)"
"I have been attempting to become a vegan for about 2 years. I was very bored and confused. Also, I still did not feel healthy because I was not a true Vegan. 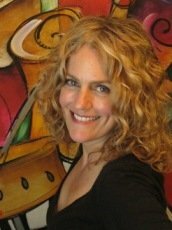 I was desperately searching for a blog or something to help me when I came across Vegan Coach. I have not looked back once. I have been on track and never felt better. I am confident to call myself a vegan with my head held high!!!!!!" "Today is my one year Veganversary. I have to thank you for providing so much helpful information on your website about how to actually choose, store, prep, and cook all of the beans, grains, and vegetables. You also taught me what I needed to have in my pantry so that I could prepare many basic vegan meals. "It is because of the knowledge I gained from you, that for the last year, I've been cooking all of my meals from scratch and eating vegetables, grains, and beans that I never tried in forty years. I was able to make an immediate switch to veganism instead of a gradual change because of your website. "Thank you for providing such a wonderful gift to us all!" "I hope you know how extremely helpful your site is. It's different than other sites....easy to read, understand, etc. Being vegan for 5 years, you get comfortable thinking you know most of it, but then a website like yours comes along and now I'm learning even more! Thanks again for all your wonderful info!" "I just wanted to let you know that I have been trying my hardest to follow a vegan diet for 6 months and plan to continue that diet. I recently discovered your website, and it is just the thing I need to put everything in perspective. I was really getting frustrated with searching the endless sea of nutrition facts, recipes and just helpful information overall, but your site has really filled-in all the gaps. "I just wanted to personally thank you for the time and effort you have put into this website. It is simply a masterpiece." "What I like best about your website and newsletters has always been your down-to-earth, never-preachy, always-patient presentation. You never take it for granted that your readers do or do not know something - you present information in a friendly, non-presumptuous, non-condescending way, just as though you were talking to a best friend." "Thank you for this site. I have been a vegetarian for over a year and am sick of hunting down cookbooks only to hope that the food comes out like it should. I like your approach of not using recipes as this is exactly what I have been trying to do lately. Just wanted to drop you a line to say that your hard work is appreciated!"